A. Solid: leisure food (candies\ chocolate), etc. C. Powder: condiments, monosodium glutamate, salt, glucose, fine sugar, milk powder, washing powder, etc. Other materials can be bagged by the double bag filling sealing machine. A wide range of pouches: The filling sealing machine is suitable for all kinds of pre-made pouches such as flat and stand-up pouches (with/without zip). 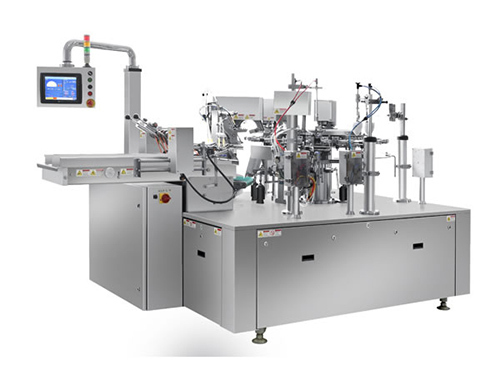 High speed: RezPack double bag filling sealing machine has high speed up to 90bags/min. High Automation: The double bag filling sealing machine is unmanned in weighing and packing process, providing auto alarm in case of failure. A. The double bag filling sealing machine provides no fill, no seal as well as auto alarm when there is no pouch/ incorrect pouch opening. B. The machine will automatically alarm and stop in case of inadequate air pressure. C. The filling sealing machine, installed with safety guards with safety-switches, provides auto alarm and stop when the safety guards are opened. E. Designed with imported engineering plastic bearings, the bag filling sealing machine requires no oiling and generates no contamination. F. The double bag filling sealing machine comes with oil-free vacuum pump to avoid pollution to the production environment. RezPack, located in China, is a leading double bag filling sealing machine manufacturer and supplier. Providing high quality products is our goal at RezPack. The use of internationally advanced technologies and equipment helps us achieve this goal. Due to years of continuous efforts, we are able to provide CE certified vertical packaging machine, measuring equipment, etc. 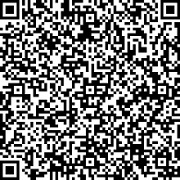 for customers all over the world. 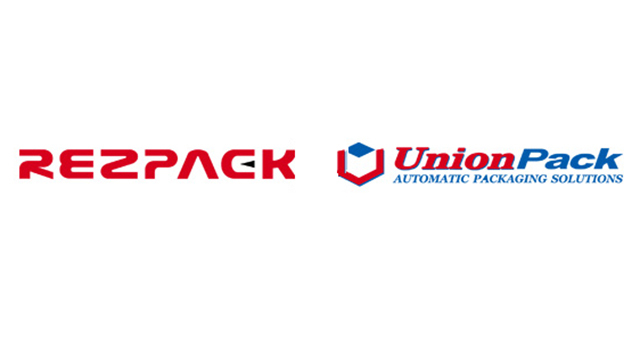 With reliable quality, stable performance, and affordable prices, RezPack products are very popular with customers from Australia, New Zealand, Mexico, Canada, the US, South America, Europe, the Middle East, and more.